Kicking off this month, the Festival of Debate promises over 75 events across three months – the biggest year yet, organisers say. As one the UK’s largest political festivals, we’re here to help you out and get you enjoying some quality debates, discussions, plays, films and everything else in between. Here you can find our top picks for April. You can read more about the festival as a whole here. Look out for our picks for May and June, coming soon! As former Greek Minister of Finance and co-founder of the European movement for democratisation, Yanis Varoufakis has a pretty impressive CV. 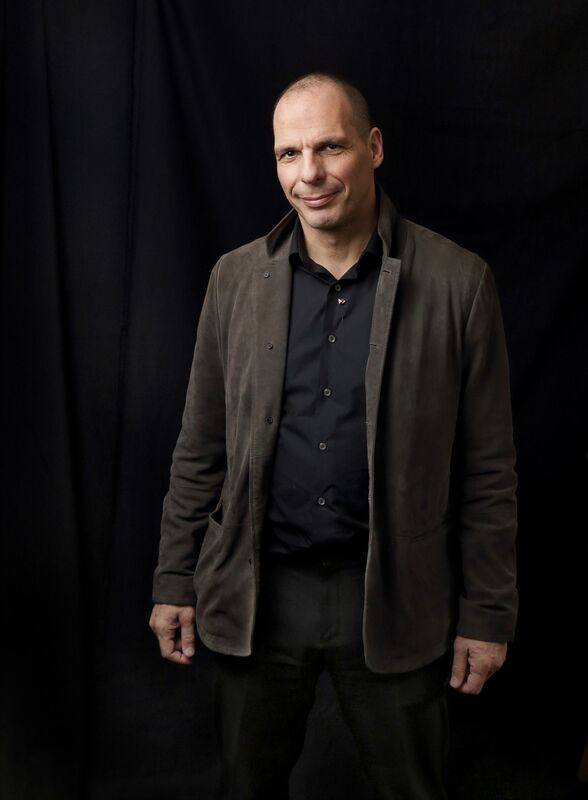 In an already sold-out talk (tickets are now available for a live stream of the talk at Peak Lecture Theatre), Varoufakis will talk about why it will pay to execute Brexit correctly, for democrats both in Britain and Europe alike. He’ll also talk on why internationalism needs to be revived as the real alternative to the globalisation process happening before our eyes. An event being held in association with Yorkshire literature organisation Wordlife, poet Matt Abbott will perform ‘Two Little Ducks’, which explores the multitude of reasons behind the Leave vote, while also exposing the harsh realities of the Calais Jungle refugee camp. Described as “a vital and visceral spoken word show for the masses”, rising star Abbott uses observational storytelling to engage audiences. Get your tickets for this here. Join Roundabout at The Circle on Rockingham Lane on Thursday for a free open discussion on whether we should be giving money to people who ask for it on the streets. Share your thoughts and hear other’s opinions for both sides of the argument, as well as from individuals who have previously begged and worked with beggars. Get your tickets to the “Deliciously dark and enchanting” comedy, 'Love Song'. As a burglary disturbs normality for Beane, his sister and brother-in-law, John Kolvenbach’s offbeat comedy explores the human condition, urban isolation and the power of love in all its forms. Bringing their hit podcast ‘Reasons to be Cheerful’ to City Hall for a special live episode, radio presenter Geoff Lloyd and former Labour leader Ed Miliband will bring optimism, ideas, stories of Ed’s failed interactions with inanimate objects, and Geoff’s interactions with animate ones, as well as a handful of special guests. Tickets can be bought here. Sheffield social entrepreneur Our Mel offers you the chance to celebrate women of colour within the community. In collaboration with Nadia Jama, BAME Officer Central CLP, Celebrating Women of Colour invites you to hear women talk about their personal journeys, challenges and achievements. A short film screening, stalls as well as nibbles and drinks, is also expected.